Polydextrose, Silicon Dioxide, Natural & Artificial Flacors, Calcium Silicate, Sucralose, Acesulfame Potassium, Malic Acid, Citric Acid, FD&C Red #40. Polydextrose, Silicon Dioxide, Natural Flavors, Calcium Silicate, Sucralose, Malic Acid, Citric Acid, Acesulfame Potassium, FD&C Red #40. Citric Acid, Natural & Artificial Flavors, Malic Acid, Sucralose, Acesulfame Potassium, Beet Juice (Color), Polydextrose, Silicon Dioxide, Calcium Silicate. Calcium Silicate, Natural & Artificial Flavors, Silicon Dioxide, Polydextrose, Sucralose, Acesulfame Potassium, Malic Acid, Citric Acid, FD&C Yellow #5, FD&C Blue #1. Polydextrose, Silicon Dioxide, Natural & Artificial Flavors, Calcium Silicate, Sucralose, Acesulfame Potassium, Malic Acid, Citric Acid, FD&C Red #40. 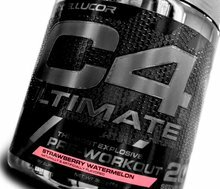 Dec 13, 2016 C4 Ultimate: Cellucor’s Pinnacle Pre Workout! C4 ULTIMATE: The C4 You've all been waiting for! Finally! 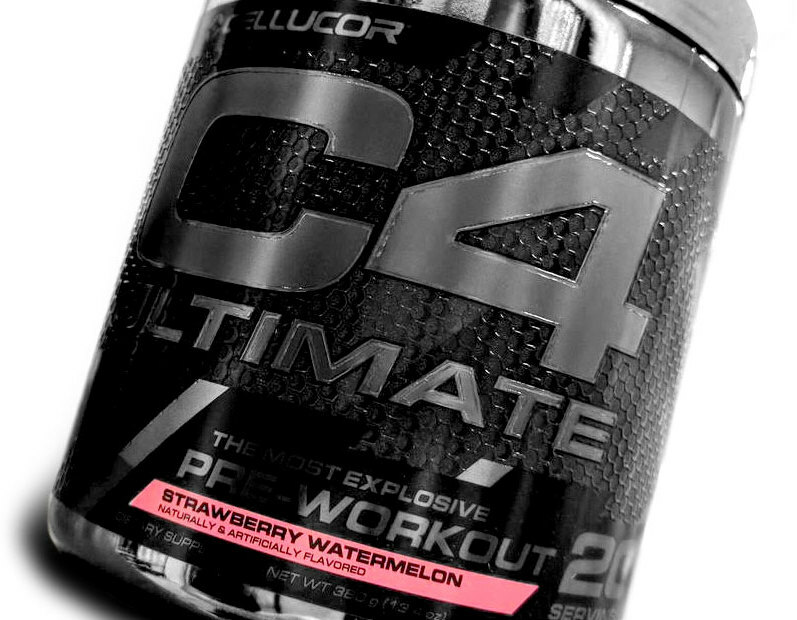 Cellucor has released a version of C4 ULTIMATE that has 300mg caffeine and huge doses of pump ingredients! This lived up to the hype. The question is whether we can get that price down from the initial GNC offering - and that's what PricePlow's for. Sign up for C4 Ultimate price drop alerts on this page to find out!